A federal appellate judge in Texas issued a ruling late on Jan. 17 that dismantles key talking points used by the pro-abortion movement to defend Planned Parenthood’s sale of aborted baby body parts. The Fifth Circuit Court of Appeals case dealt with a decision by the Texas Health and Human Services Commission to terminate Medicaid provider agreements with Planned Parenthood affiliates in the state. The commission based its decision on a series of undercover videos released in 2015 showing Planned Parenthood executives discussing the illegal sale of aborted baby body parts. When the videos were released by The Center for Medical Progress, a pro-life group, Planned Parenthood and its defenders used the same set of talking points to disparage the evidence, specifically focusing on a claim that the videos were “heavily [and] deceptively edited.” The same talking points were often parroted, without evidence, by the news media. In a 36-page ruling, Circuit Judge Edith Jones noted that a review by an independent forensic firm determined “That the video was authentic and not deceptively edited,” refuting Planned Parenthood’s claims. Jones ruled that the state’s decision to remove Planned Parenthood’s affiliates from the Medicaid provider rolls was lawful. The Fifth Circuit also noted that Planned Parenthood executives have admitted to illegally altering abortion procedures and circumventing the partial-birth abortion ban in order to procure intact aborted baby bodies for greater profit. In one example, Planned Parenthood abortionists would sign a form stating that they did not “intend” to retrieve an intact fetus, purportedly to circumvent federal statutes. The ruling is consequential because it establishes the authenticity of the undercover videos while arming other states with a tool to cut federal funding from Planned Parenthood, the nation’s largest abortion provider. According to its annual report, Planned Parenthood performed 321,384 abortions in fiscal year 2016. “Tonight, the Fifth Circuit Court of Appeals vindicated our citizen journalism work by debunking Planned Parenthood’s smear that the videos were ‘heavily edited or ‘doctored,’” the Center for Medical Progress said in a statement in response to the ruling. Planned Parenthood receives more than $500 million in federal funding every year. There is an ongoing debate on whether taxpayer money can be used to fund a procedure that more than one in three Americans believe should be illegal. The U.S. Senate failed to pass a measure on Jan. 17 to permanently ban taxpayer-funded abortions. The vote came within hours of the Fifth Circuit ruling. Republicans largely favor the measure, while the vast majority of Democrats oppose it. The final vote, 48-47, included two nays by Republican Sens. Susan Collins and Lisa Murkowski and two ayes by Democrats Bob Casey and Joe Manchin. Five GOP senators did not cast a vote: Lamar Alexander, Richard Burr, Mike Crapo, Lindsey Graham, and Rand Paul. 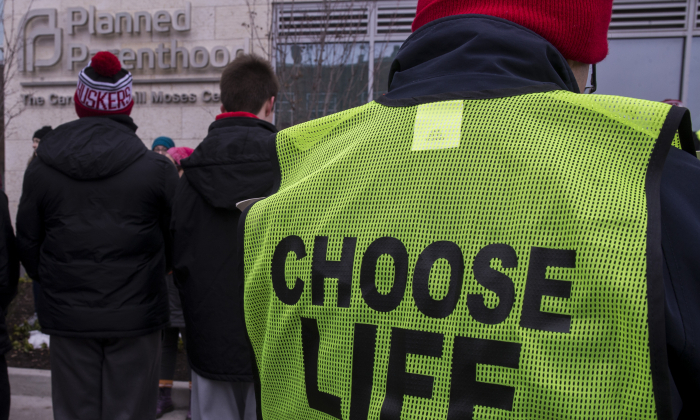 The Fifth Circuit ruling was filed one day before the March for Life event in Washington, the largest annual pro-life gathering in the nation. Last year, President Donald Trump became the first sitting president to address the march in person. The march was conceived in 1973 on the heels of the Roe v Wade decision by the Supreme Court that invalidated dozens of state laws restricting abortions.